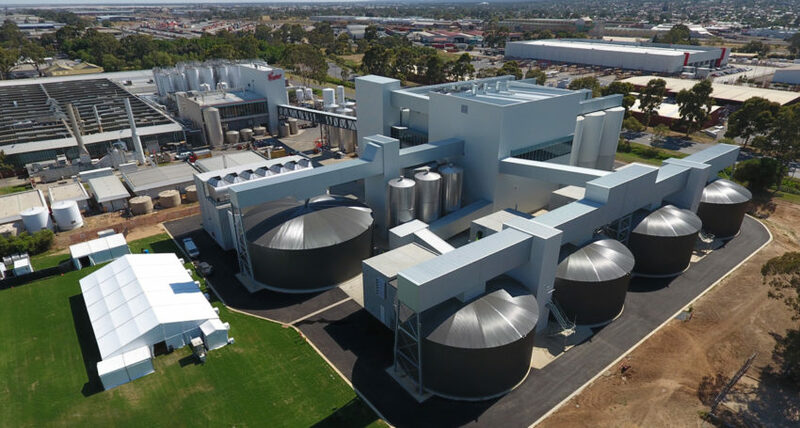 Coopers Brewery’s new malting plant in Adelaide has been named equal best in the world at an international award presentation in Poland. A jury consisting of members of the global brewing supply chain named Coopers and The Swaen in the Netherlands as the Maltsters of the Year 2019 at the World Barley, Malt and Beer Conference held at the Palace of Culture and Science in Warsaw. Coopers opened its 54,000-tonne capacity maltings in November 2017 alongside its Regency Park brewery. Of the almost 50,000-tonnes of malt produced at the site this year, it will use about 16,000 tonnes for its own beer and 21,000 tonnes will be exported to Asia. Domestic craft brewers and distillers are predicted to use about 5500 tonnes – more than 10 per cent of annual production. Coopers sold its previous malting plant to Ausbulk in 2002 to help reduce debt from building its Regency Park brewery. Coopers’ Maltings manager Dr Doug Stewart, who accepted the award, said it was a remarkable result, given that Coopers’ maltings has been in operation for only just over a year. “The plant includes some unique in-house designed features which have allowed us to reduce steeping times, water usage and kiln-gas during the malting process,” he said. “We also are flexible enough to be able to produce special single-origin malts for the craft beer and distilling sectors. These have included malt from Westminster barley grown on Kangaroo Island, Schooner barley from the Murray Mallee and Commander barley from the Barossa Valley. Leading Swiss manufacturer Buhler supplied the malting equipment for the $65 million project, with local company Ahrens responsible for the construction.